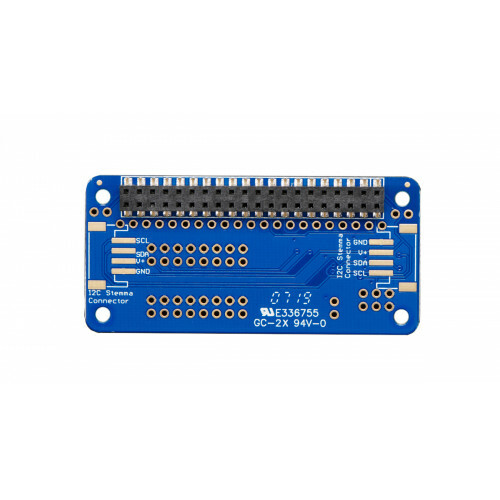 The Raspberry Pi is an amazing single board computer - and one of the best parts is that GPIO connector! 40 pins of digital goodness you can twiddle to control LEDs, sensors, buttons, radios, displays - just about any device you can imagine. 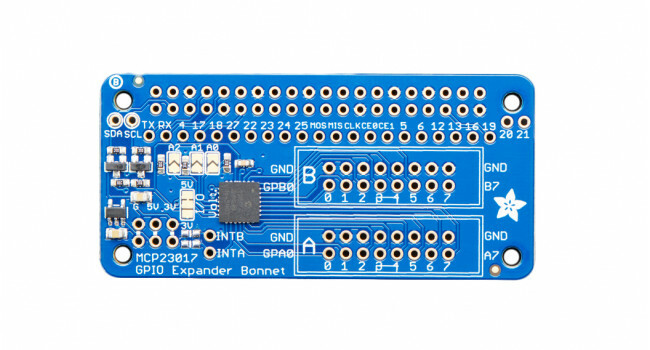 This Adafruit GPIO Expander Bonnet will give you even more digital deliciousness - 16 more digital input/output pins are yours for any desire you have. The outputs are grouped into two 16-pin connectors that have a matching ground pin. You can set each pin to be a digital output (high or low) or as an input, with an internal pull-up if you like! 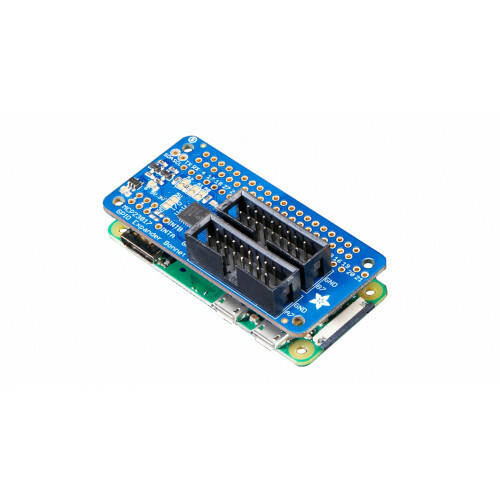 Simply pop the Bonnet on top of your Pi, the circuitry connects to the SDA/SCL I2C pins for control. 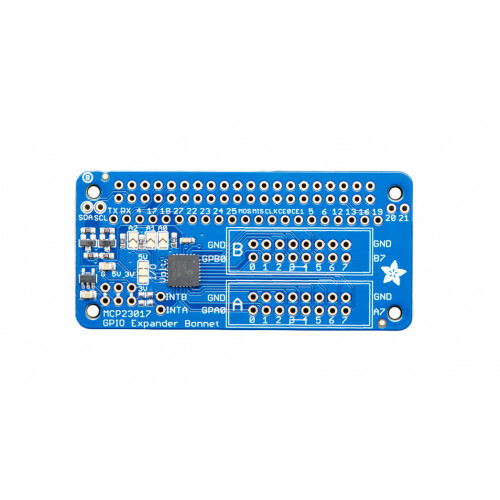 The MCP23017 chip converts our Python commands to pin instructions.